You can create different Custom Post Types, but you can only have one Event Custom Post Type. This article explains how you can create different Event types, with the use of the Payments Manager. The options and idea explained below can also be used for other Custom Post Types. We want our users to add Festivals and Markets, and Festival submissions can include the name of artists, and Market submissions can include details of the organisers. 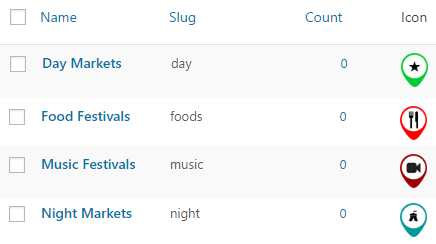 But we want to make it easy, so when they choose to add a Festival, they are not shown any Market specific fields. Go to GD > Prices and Payments and create or edit Event price packages. After creating the Festivals package, save it first. Repeat for the Markets package. Go to GD > Event Settings and create an Artists custom field. Repeat for the Markets only custom field.